Published on January 31, 2011 by Martyn. Read the 1 comment. If one of my books is published in more than one country, I’m always fascinated by the starkly contrasting cover designs which the different publishers produce. 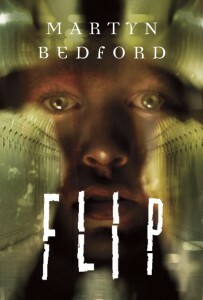 Just look at these three examples of covers for Flip – each striking and stylish in its own way, but they could hardly be more dissimilar! The UK cover is by far the best. 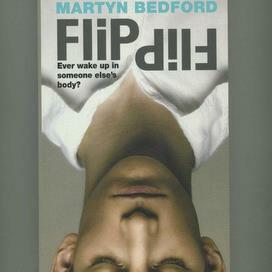 The seemingly lifeless upside down head immediately got my attention, so different to everything else on the bookshelf around it, and the bold tagline got me more intrigued to find out more. A quick read of the synopsis on the inside cover, and I knew I had to read this book. and I was not disappointed with my purchase. I know i should not judge a book by its cover, but the UK cover was spot on with summing up what the story was about. For me the US and Dutch covers don’t convey the same emotion. The US cover being similar to a lot of other books and would have had a harder time vying for my attention, and i don’t think if I had seen the dutch version i would have paid much attention to it.